Looks like he just kept ‘doubling or nothing’, till it reached $1M. I guess the Martingale progressions won’t even work for the rich and famous. However, it’s no big deal to Mr. Diddy, stating: “it aint nothin” – I wish! 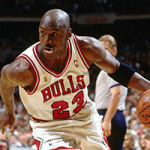 Known the world over for being the greatest Basketball player of all time. 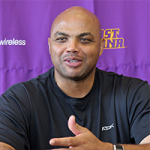 He’s also known for winning/losing millions at gambling – including craps. the craps pits. 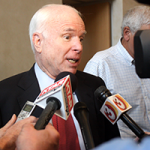 As a matter of fact – he’s lost over $10 million! 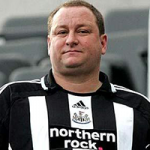 Multi-millionaire, and owner of Newcastle United football club was reported losing £1 Million just a few hours after first buying in. He started off strong, but then things just took a nose dive. Gotta love his persistence. I doubt this billionaire barely winked at his losses. 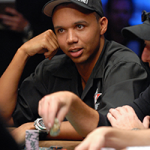 Not really known for being a craps player, but his legendary $800,000 winnings at Black Jack is very worth noting. But, particularly, his tipping has made news. 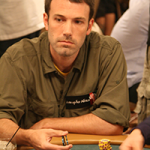 One of the coolest moves I’ve heard of any kind of player, Mr Affleck tipped the dealers $150,000 – That’s nearly 20% of his winnings! To put things in perspective – Most investors work relentlessly to make a 10% profit, so you can see 20% is incredibly generous. What do all these celebrities have in common? They’re in desperate need to learn dice control! OK, maybe not. They probably don’t have the time it takes to practice with their busy lives in the spotlight – but it wouldn’t hurt. Probably, all the better they don’t know Dice Control. Can you imagine them killing the casinos for millions and making the news bragging about their new skills? Let’s just continue making our quiet fortunes in our nice underground community. But, if any of these mega rich and famous giants are playing at your table, make sure to show ’em how it’s done. Ninja Craps Forum Is Now Open! Today I’ve finalized launching the Forum for our members’ area. All students will now have a place to converse with myself and other members. Members can now find a link inside the members area and will be led to the forum. 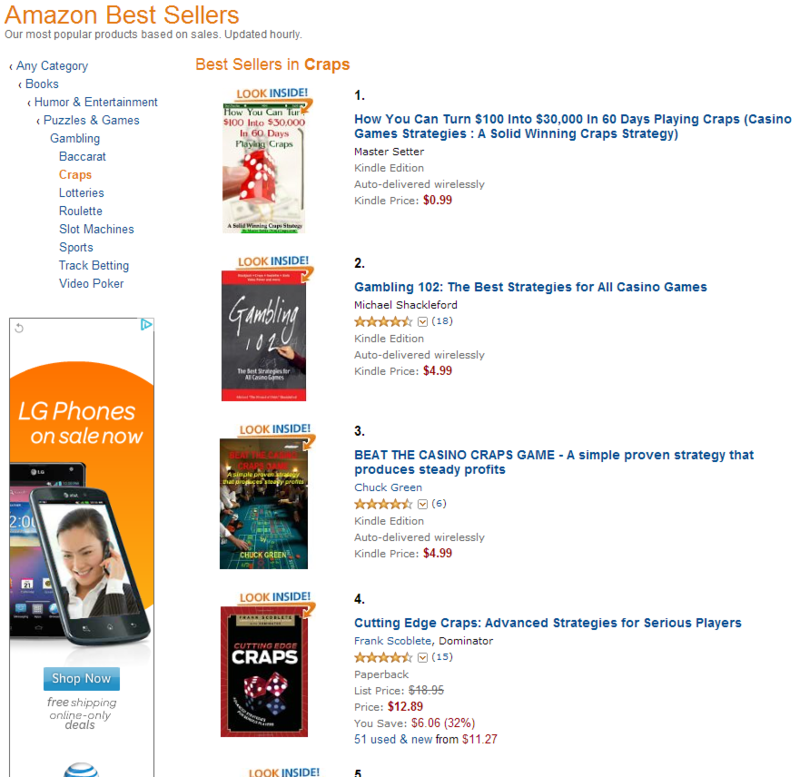 My New Book Hit #1 In Amazon’s Top 100 In Craps Category! It’s pretty exciting when this happens, and I just want to thank all of you who helped support my new book. Today was the second day my book hit #1 in the Craps category for the top 100 books. It doesn’t always stay there, of course, but it is pretty awesome seeing it there occasionally. It’s already getting a great response. And if you know me, it makes me happy to see others succeed. I’ve got lots in the works, and this is just the start! How You Can Turn $100 Into $30,000 In 60 Days Playing Craps – My New Book! Ever wonder why most people who play craps never make any significant amount of money? It’s mostly due to the fact that players keep playing till they get tired, lose all their money, or win big. This isn’t the best approach to making serious money at craps. In my new book called “How You Can Turn $100 Into $30,000 In 60 Days Playing Craps” , I go over how to win strategically. With a little patience, skill and discipline it isn’t hard to make some real cash at craps. And if you’re even slightly skilled at controlling the dice, I have a section in the book that almost assures you’ll reach the goal of $30K! Of course, if you’re a random shooter who just shakes the dice, the chances are much more slim. It can happen, though, if you’re seriously lucky – and some people are! I’ll be adding the material found in the book into the members area soon. However, if you can’t wait, click the image below! You can download it to your Kindle, iPad, PC, Mac, anywhere! Amazon provides a free Kindle Reader here. And any mobile devices should have them in their app stores. If you read it and have started your journey – leave comments below and tell everyone how you’re doing! It’s been a lot of hard work getting here, but I can finally say that NinjaCraps.com is open to the public as of Feb 1, 2013. Break open the champagne!! If you’re one of my students you know this has been a long time coming. Thanks for sticking around through all the obstacles in getting this going. Since, I’m still constantly adding content I’ve priced it pretty darn low for new students to join. If you’re new to NinjaCraps.com, you’re going to absolutely love what I have in store. Thanks for being here and supporting the site. And I look forward to helping your craps game. It’s been a long time coming, but I can finally say that NinjaCraps.com will go live soon. Either subscribe to our RSS feed, Twitter (https://twitter.com/NinjaCraps), or Facebook to be notified when it goes live! Also, make sure to sign up for a free blog account which will give you full access to the blog posts as well as being notified when the site goes live, and other interesting news that I may not post on the site.